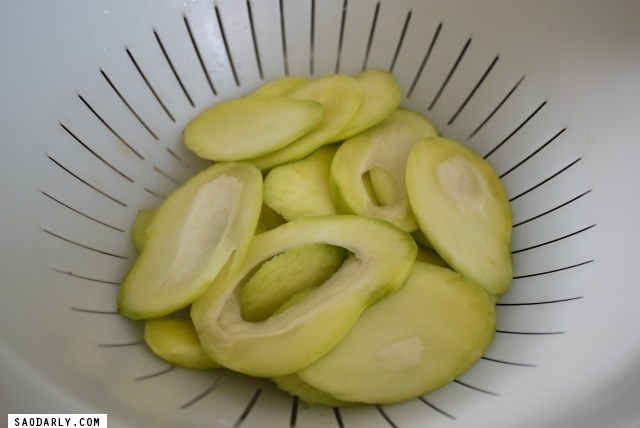 I’ve been craving for Young Green Mango Snack for a few weeks now. 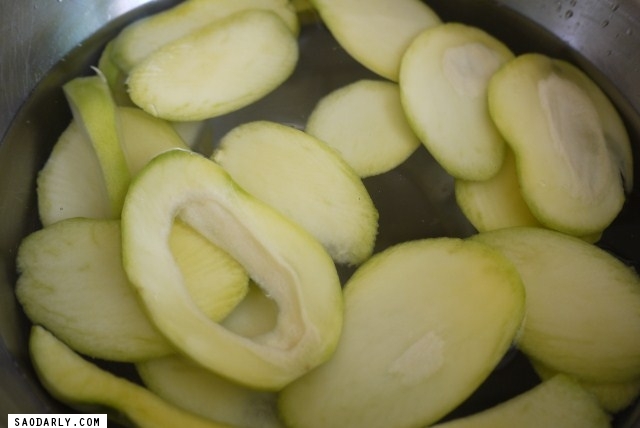 I was fortunate enough to have found a basket of young green mangoes at Wah Nam Hong grocery store in Den Haag. 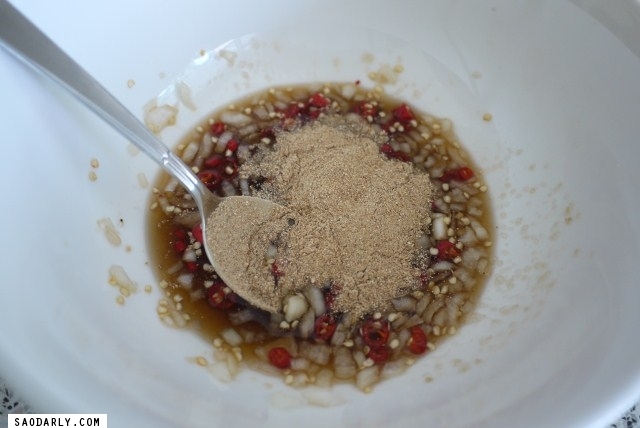 I didn’t have toasted sticky rice on hands and had to cook a cup of it. 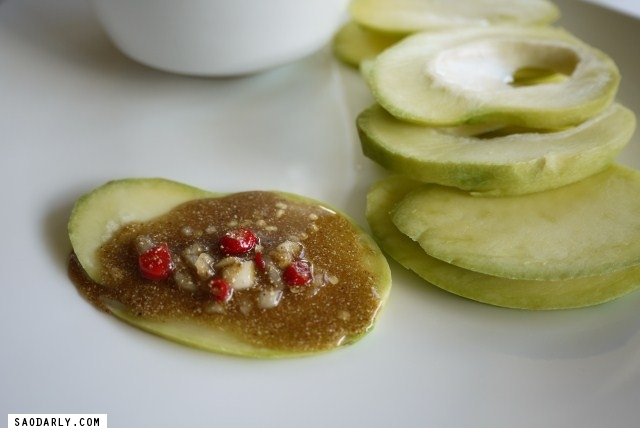 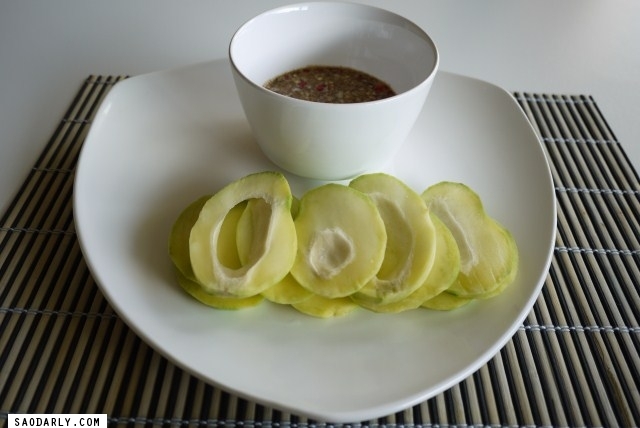 I peeled the young green mangoes, sliced and soaked them in water while the dipping sauce was being made. 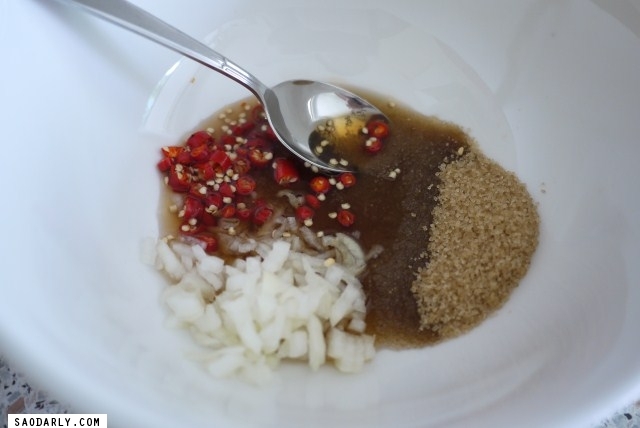 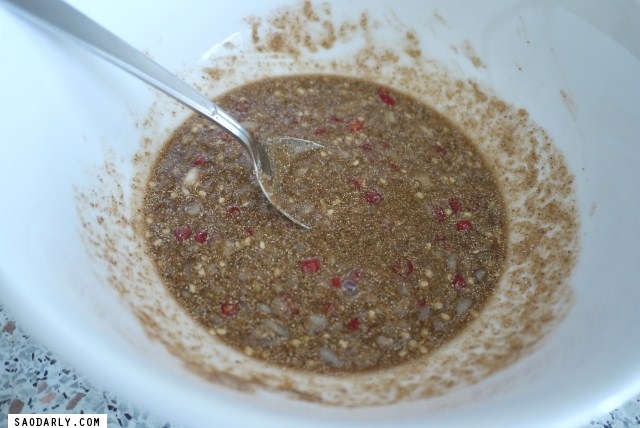 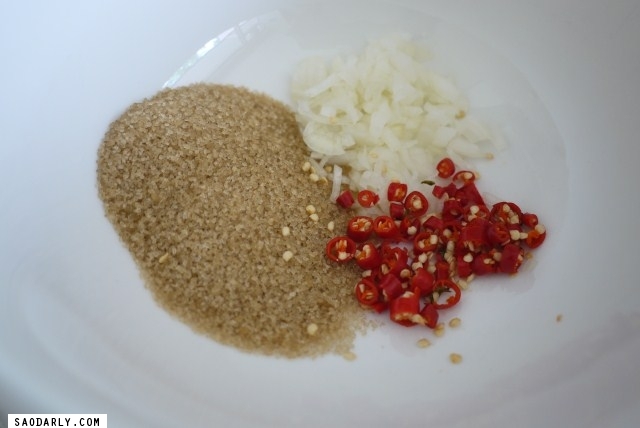 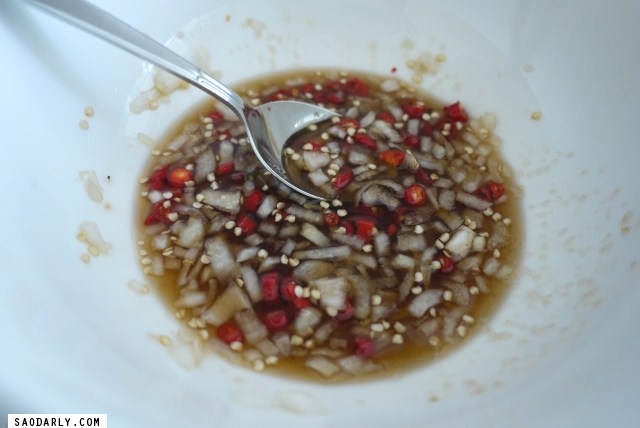 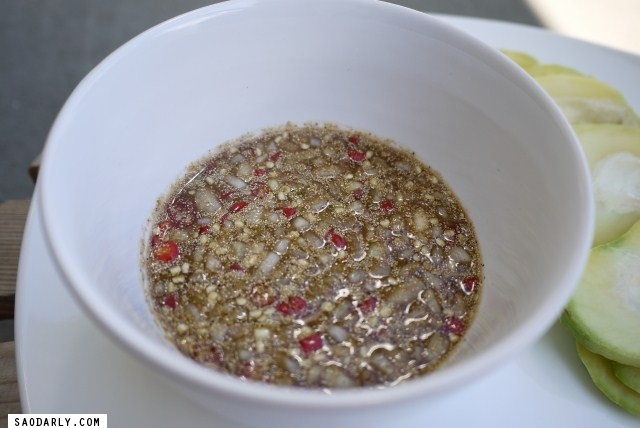 With a freshly made ground toasted sticky rice I made a fruit dipping sauce using 6 soup spoons of sugar, 4 soup spoons of fish sauce, one shallot, and 6 chili peppers.